Overspending on anything from a sandwich to a new car is very easy to do these days with available credit from loans, credit cards and the like. Credit is too easily available and we are bombarded with adverts that tell us we ‘need’ the next big thing or we ‘deserve’ to have it now. We can all spend too much money if we are not just that little bit careful. Indeed I reckon almost everyone overspends at some point in their lives. The key thing is that eventually you need to learn how to stop spending money, especially when you haven’t got the money to spend and are relying on credit cards or your overdraft. The problem with overspending is that is so easy to do! You can spend with one click of your computer, one swipe of your credit card and even one tap with your phone. With spending money that easy to do, it’s no wonder many of us get addicted to spending money for a feel good factor. To get back in control of your money is key and often it is more about your mindset than your actions. As I discussed in my post about how to love living within your means, we are all human and that is why we can find some things difficult. Being human means we have foibles and we don’t always do what we are told! You know what you should do (stop spending) but knowing it and doing it can be two different things. Your attitude towards money is influenced by others around you, your family, your upbringing, adverts, all sorts. If you can understand what makes you tick then you are half way to mastering your spending. Are You Addicted To Spending Money? Are you worried and stressed about your overspending habits? Yet can’t seem to help yourself stop spending money? It may be that you have become addicted to spending money, in the same way you can get addicted to saving money, smoking or drinking. Spending money can often be a crutch for something else, to make you feel better. Quite often the act of spending money is to make yourself feel better about not having enough money! As with any addiction, you can stop spending money but it’s not always a walk in the park and needs you to take positive action. 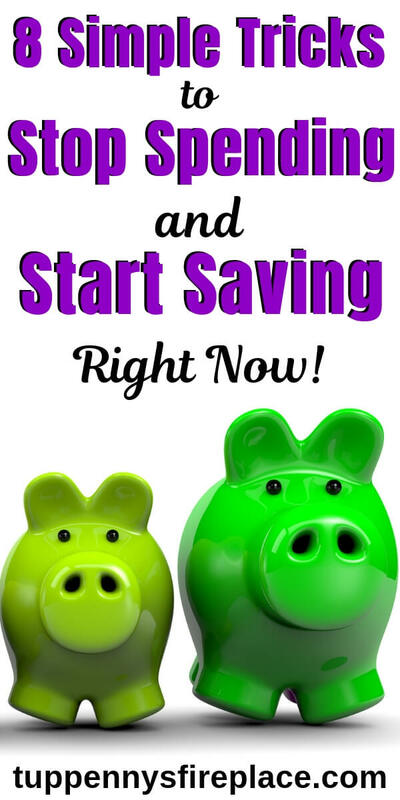 This is key to reversing your overspending and turning it into saving money. You need to work out what triggers you into spending money. Looking at the list above, look at the ones you often fall into the trap of doing. Think about the lead up to your spending. Were you sad, bad or mad? Mood can make a huge difference to how in control we are of many things. We all know about not going shopping when you are hungry. The same must be said for spending money full stop. Don’t go shopping when you are emotional, whether that’s sad or angry or even happy. Being an over-spender, you are likely to calm your emotional state by spending money you don’t have. When you feel yourself ready to spend money, take a step back and analyse why you feel the urge. Replace that urge with something else, whether it’s doing a physical work out, going for a walk, reading a book or a spot of housework. Take some form of real action to take your mind away from the spending urge. If you only ever spent cash and didn’t touch your credit cards you wouldn’t go far wrong. Handing over your hard earned cash is that much harder than swiping your card or tapping your phone. Use the cash envelope system to get to grips with your day to day spending and reap the rewards of increased savings and a better understanding of where your money goes. If you don’t have a plan for your money it’s all too easy to spend it. I’m not talking about a budget, although they are fairly essential – but you know that already so I’m not going to bore you. I’m talking future goals, money goals that only saving up your hard earned money can achieve. Holidays, less overtime, more fun time, retirement, new house, you name it, you can achieve it. But only if you make your goals real and focus on them. You can’t go from over-spender to money saving geek in one fell swoop. It takes time and hard work. Give yourself a better chance to succeed in your challenge to stop spending money by allowing yourself some guilt free spending money. Mr2p and I have a fun money allowance which we can spend however we like, no questions ask. No guilt. Give yourself guilt free spending money to sweeten the whole no spending deal. Internet shopping is very easy and can be very costly. You can be relaxing on the sofa after a long day and easily click on a few emails, see something lovely and before you know it, you’ve bought it. One of the best ways to stop spending money is to remove temptation to shop by unsubscribing from all your favorite stores. If you do get tempted and find yourself with a few items in your internet shopping basket, close down your browser and walk away from those items. You know the feeling when you are shopping, perhaps doing the grocery run and your brain feels too full. You can’t make a decision; you’ve made too many today already and now is not the time to be trying to decide whether to buy chicken legs or chicken thighs. When you’re tired and your brain is overloaded you don’t make smart decisions. I know I don’t. I know now never to go shopping when I am tired. I make poor decisions and either buy too much or completely the wrong thing. It doesn’t matter if I have a list, I just can’t stick to it when I am super tired. Cut yourself some slack and leave essential shopping for another day or time. And don’t use shopping as therapy after a busy, stressful day – you are asking for trouble! When you get home tired after a long day at work you might not feel like cooking. You certainly won’t if you have to think about what you can cook and how to cook it. So you resort to eating out or having a take out. 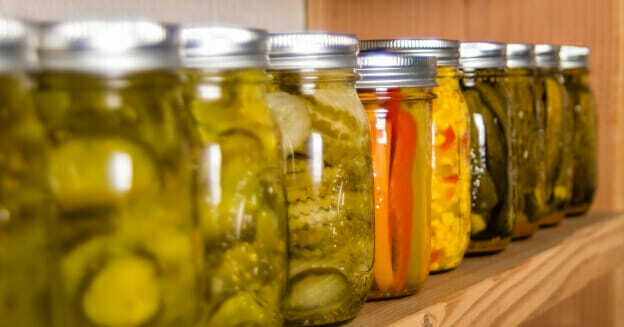 But making your own food is one of the best ways to really cut your spending so take a little time to plan in advance your food. These 5 tips should help you truly understand how to stop spending money on food and seriously reduce your grocery bill. Having a spending freeze can help you reset your spending habits. 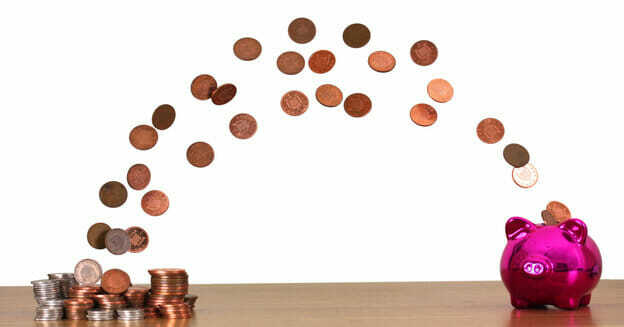 It’s a chance to kick start your savings habit and get a better understanding of where your money would otherwise go. Of course you will spend some money during a spending freeze, after all, bills still got to be paid right? If you’ve got cupboards full of food then include groceries in your banned spending and take the opportunity to run down those stores. But freezing all unnecessary spending can be quite eye opening. And hard to do. We are so accustomed to daily spending that to learn how to stop spending money for 30 days really takes some doing. I’ll be honest, I’ve never managed to stop spending for 30 days in one go. I’ve tried and failed as we eat too much fresh fruit and veg for me to go without that long. I could just add groceries into my accepted spending but I never like to do so as I have good food stores so always start out thinking I can manage to spend no money for 30 days. Maybe next time I do a spending freeze I should allow myself some grocery spend? Watch this space. When you are in an overspend situation it can sometimes feel overwhelming. The most important thing to do is understand you can change things, indeed you can start right now. Sit down and make a plan. Get to know what your spending triggers are and why. 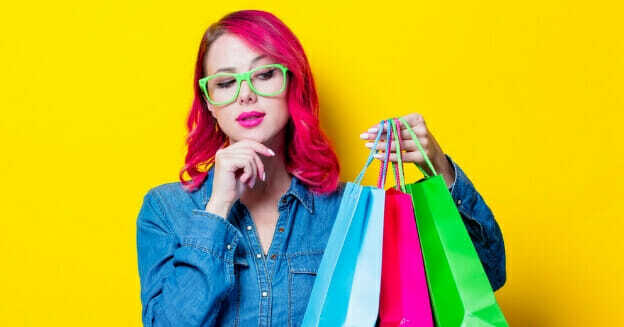 Identify ways to offset those triggers to stop spending money but give yourself some slack and allow some fun spending. Or do the opposite and stop spending money for 30 days with a spending freeze. Knowing your triggers and making a plan will make all the difference in your understanding how to stop spending money and get you back into the black. 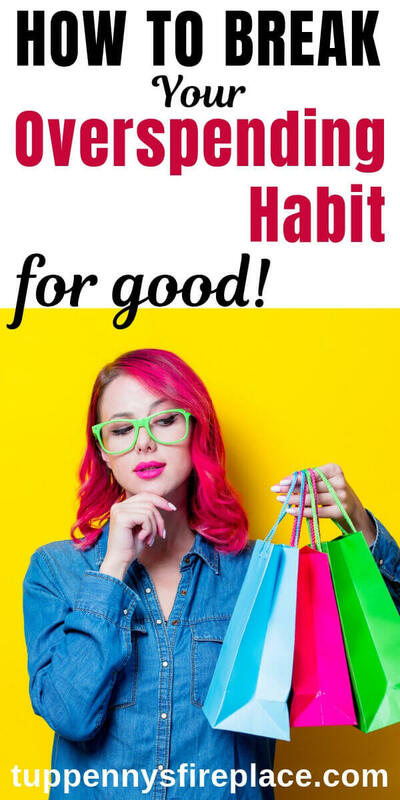 I found this so relatable – my intentions are always good and I rarely spend huge amounts – most of what buy is odd bits of clothing from charity shops and random bits of food here and there – I’m terrible with treat foods like cake and chocolate! – BUT it does all add up and I always feel guilty afterwards. I think I need to try a no spend challenge or even writing everything down to try and scare myself into spending less! Hi Fiona! It’s that saying – look after the pennies and the pounds look after themselves. No spend challenges definitely work but can be quite hard to do. I would encourage you to write everything down, have a notebook in your bag for when you are out and about so you can log every 50p you spend. Believe me, you won’t want to write it down so you will spend less! But when you do write it down and review at the end of the week or month, it’s quite an eye opener and really helps you understand your money habits. Do try it. Thanks ever so for stopping by!